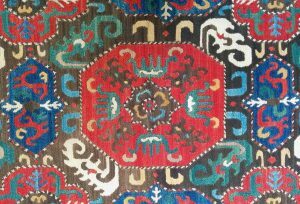 The 5th International Symposium on Azerbaijani Carpets (ISAC 2017) will take place 17-20 October 2017 in Baku, Azerbaijan. The Symposium is an international academic lecture programme organized in partnership with the International Conference on Oriental Carpets (ICOC). The organizers, the Ministry of Culture and Tourism of the Republic of Azerbaijan, the Azerbaijan National Academy of Sciences and ‘Azerkhalcha’ Joint-Stock Company, will collaborate on a multiple-venue cultural programme during the Symposium. Two special temporary exhibitions will be presented at the Azerbaijan National Museum of Art (ANMA) and the Azerbaijan Carpet Museum. An 8-day HALI Tour in Azerbaijan and Georgia will follow the Symposium, 21-28 October 2017.